My Hometalk Garden Junk Clipboard, It's Bigger and Better! And of course a stepladder. I am a junk gardener, BIG TIME! My Hometalk Garden Junk clipboard continues to grow with more and more ideas all the time! 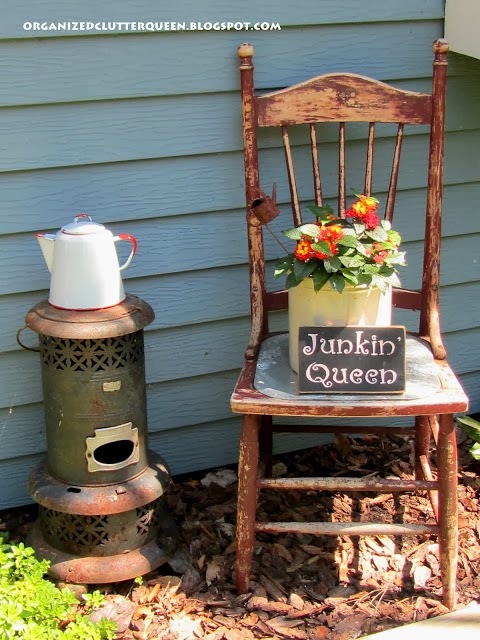 I have gathered over 250 posts on Hometalk guaranteed to inspire your very own junk gardens! 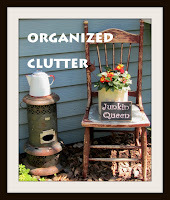 Join me and other Hometalk junk gardening contributors for a great 2014 gardening season! 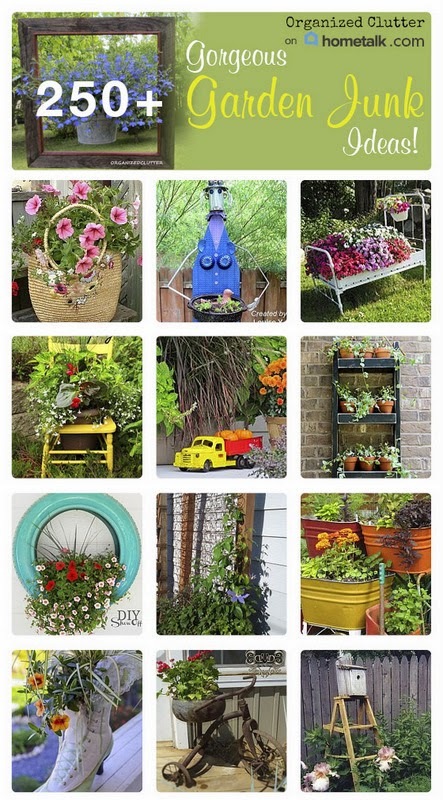 Click HERE to follow my Hometalk Garden Junk Clipboard! You have the most amazing gardens in the spring and summertime, Carlene!!! I could camp out in your yard all summer long! What inspirational pics! I can hardly wait for this long winter to be over and to start gardening. I wish I could get plants to thrive like you do. enJOYed.